Reliable comfort surprisingly ample cargo. 2006 xc90. We are the 2nd owners currently has approx.. 110,000 miles. Overall we are still very happy with it - it is the most comfortable car I have owned as both the driver and as a passenger to date ( I have personally sat in every seat in the car including the 3 row for at least an hour drive - the 3 row is tight I am 5'6" if I were any taller it would be cramped ). The downsides: it is very expensive to maintain - it is usually $300-600 each service mileage/check. It's not super efficient last time I checked I was getting around 13 mpg - but it is very comfortable and I have a short commute to work. Other positive things: I can fit a ton of stuff in the back - the third row folds completely flat the 2nd row to about a 45 degree angle. I have managed to fit two med armchairs (not recliners) and a ottoman. The amazing car of my dreams is a Volvo xc90! My Volvo xc90 is the car of my dreams. Although it is a 2006, and does not have all of the bells and whistles on newer cars it is always amazing to me. The ride is more of a glide, like sliding on butter. The car is built so well it makes you feel extremely secure should you be hit. It has a steel bar down the sides. It is roomy. Fold down seats are very easy to maneuver. The car is very safe and I always let other know. I honestly I have no problems with my xc90. Its big, safe, comfortable, and nice. I always feel like I am riding in luxury with the heated leather seats, wood steering wheel, six disk CD player, automatic sunroof, and manual mode. The car is very reliable and has never had any problems or broken down on me. 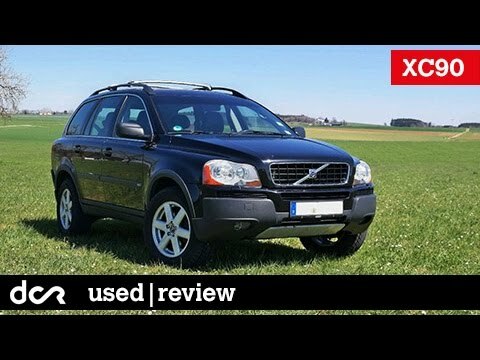 2006 Volvo XC90. Start Up, Engine, and In Depth Tour.